The Satake SRMD Two High Rollermill incorporates all the features of the SRM Rollermill, but has two pairs of rolls of each grinding passage. 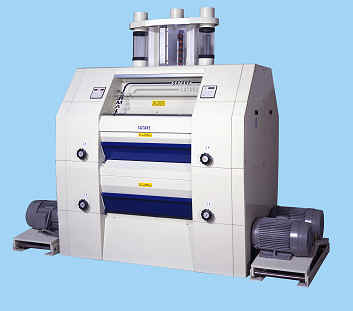 The Two High Rollermill can be used to provide very high break and reduction performance in limited spaces. Using a Two High Rollermill can also reduce the number of Plansifter sections required and hence save further space and reduce pneumatic transport equipment required within the mill. Complete rollermill automation is a significant move towards total plant automation, reducing the cost of running a mill complex at optimum plant efficiency. Feedroll speed and main motor current data can be networked through the rollermill controllers to the central control system, providing an essential and significant step towards the application of ‘Expert Systems’. The new AutoGap System allows the operator to store in memory his grinding instructions for each blend to be milled. The roll gap adjustment system operates as a networked series of micro controllers, one for each half roll stand, communicating with a supervisory central control system. The roll gap adjustment is achieved by means of digital stepper motors similar to those used in high precision CNC machine tools, which operate through toothed belt reduction drives to provide adjustments in units of 10 microns. A modern, fully sealed pressure water cooling system. All connection fittings are of quick release leak proof type to assist maintenance and roll changing. Long Life Rolls are available as an option for breaks and other fluted roll purposes. The special metallurgical properties allow significant extensions of flute profile wear. The life of the rolls can be many times that of a conventional cast chilled iron roll. The roll maintenance trolley is designed for specific use with the rollpack to assist with a rapid change program. 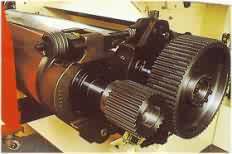 The grinding rolls, together with their bearings and fittings are mounted on the roll pack assembly. The complete rollpack can be removed and replaced quickly and easily. The fast roll can be changed individually without disturbance to the slow roll and other rollpack components. Each roll pack has its own main drive motor. 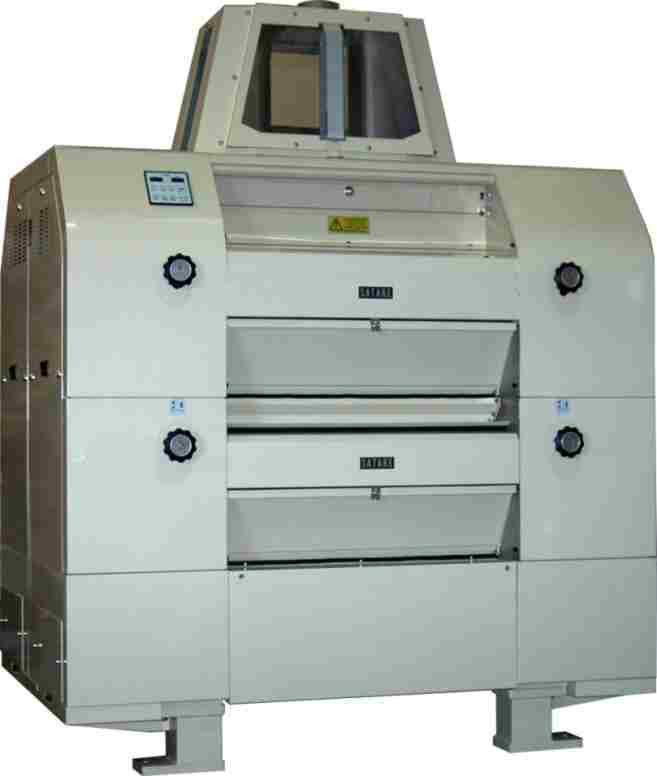 Satake has introduced an anti-fluidisation air management system which maximizes grind efficiency and prevents dust emission. The main grinding rolls are held in the engaged position by compact pneumatic cylinders. The air cylinders are integrated into the rollpack allowing very high grind forces to be achieved. 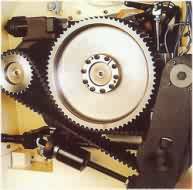 The innovative double sided tool belt drive reduces noise levels and simplifies routine maintenance. The feedroll speed is controlled by an intelligent microprocessor which monitors the stock flow passing a sensor bank on the sight feed unit. This system effectively smoothes out any irregularities in feed to the grinding rolls contributing to consistent mill operation. Heavy duty brushes are offered for roll cleaning. The brush brackets are spring loaded and pivoted to move with the roll.